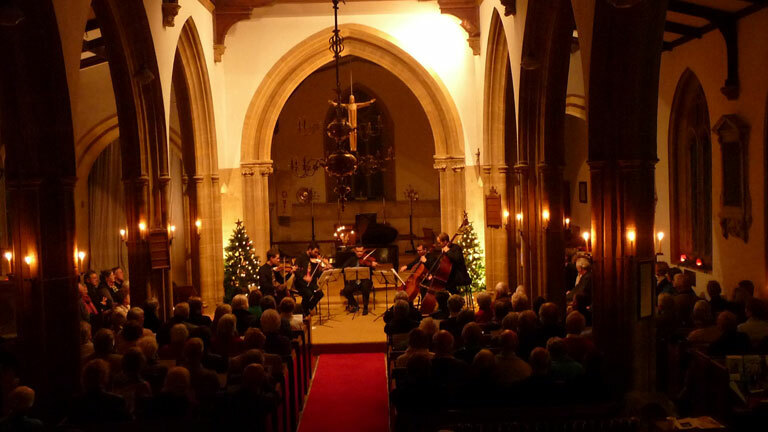 On a cold and frosty Saturday evening, on the 13th December, an audience of over 170 waited in anticipation of the annual event of Carols & Classics performed by Joseph Fisher and his Fisher Sinfonia at the All Saints Church Merriott. 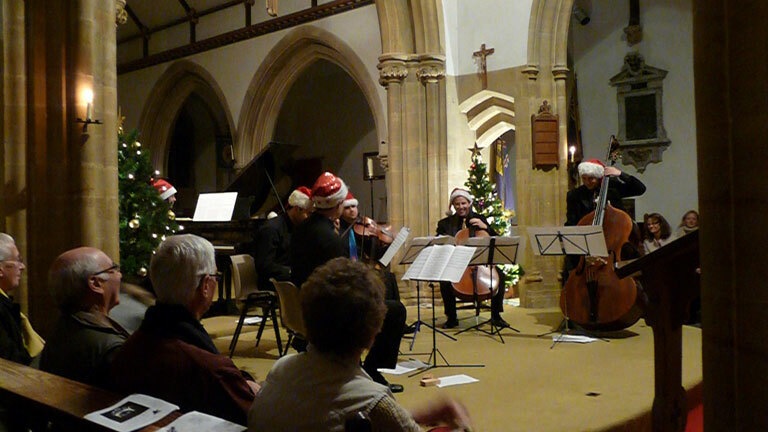 The audience were not disappointed, as a full program of Carols, Serious Classical and Fun Christmas arrangements were performed to their delight. Suling King who had only just arrived back from an appearance in Doha, Qatar played beautifully Mozarts Piano Concerto no.9, it was her 1st time in Merriott, while Nuno Carapina, a now regular to Merriott, played an extremely unusual version of Silent Night on the violin by Schnittke, full of “purposeful” wrong notes and he had the audience in shouts of laughter, and amazement of his skill. Joseph had yet again assembled an extraordinary group of young talented classical musicians from leading orchestras in the UK for the evenings performance. 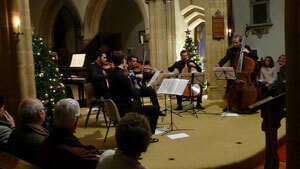 They performed a varied collection of works including Handel’s Organ Concerto and Glazunov’s String Quintet, to a festive jig and their legendary Sleigh Ride rendition arranged by Leroy Anderson. 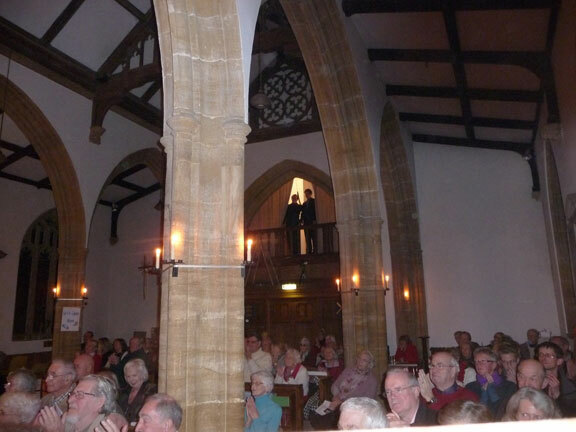 The evening ended with encores including an Austrian hymn sung from the belfry and accompanied by the strings, and Joseph promising another Carols & Classics next year, his 7th. Over £700 was raised towards Church projects from the event that was enjoyed not only by the enthusiastic audience but also the instrumentalists.